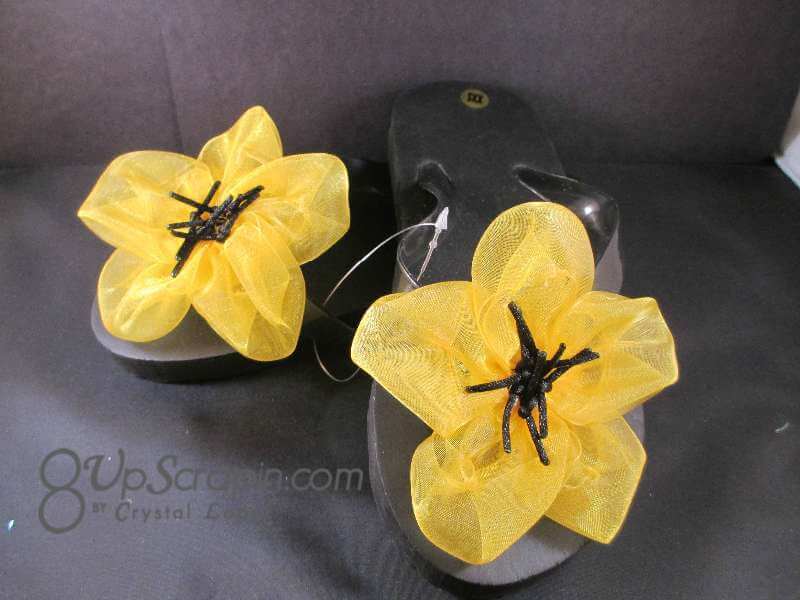 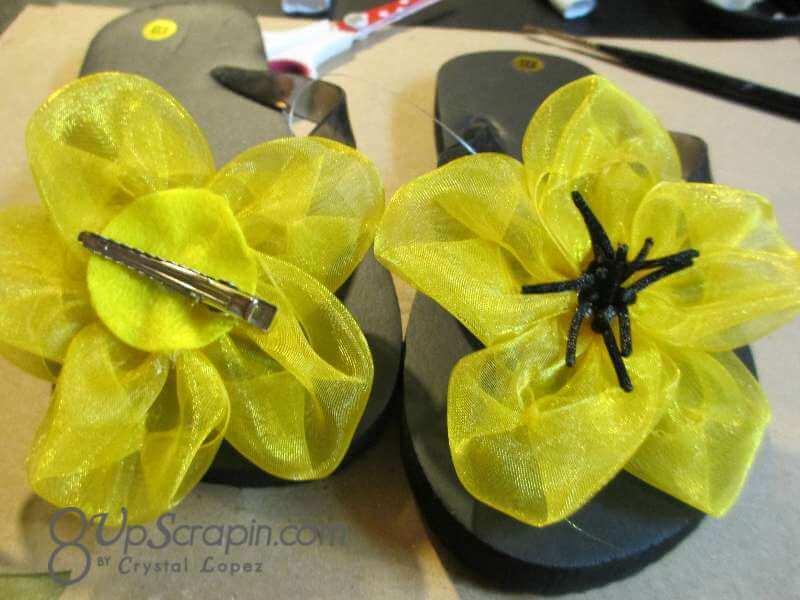 It’s Crystal here ,I hope you have had a great week , thanks for stopping by to see what I have for you today.I am so ready for Flip Flop season and today I have made a matching set to get you ready for the season. 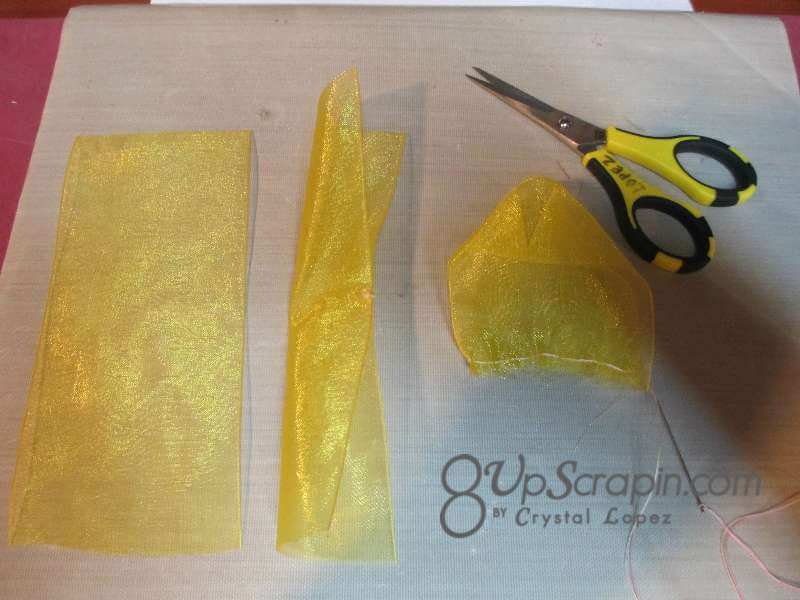 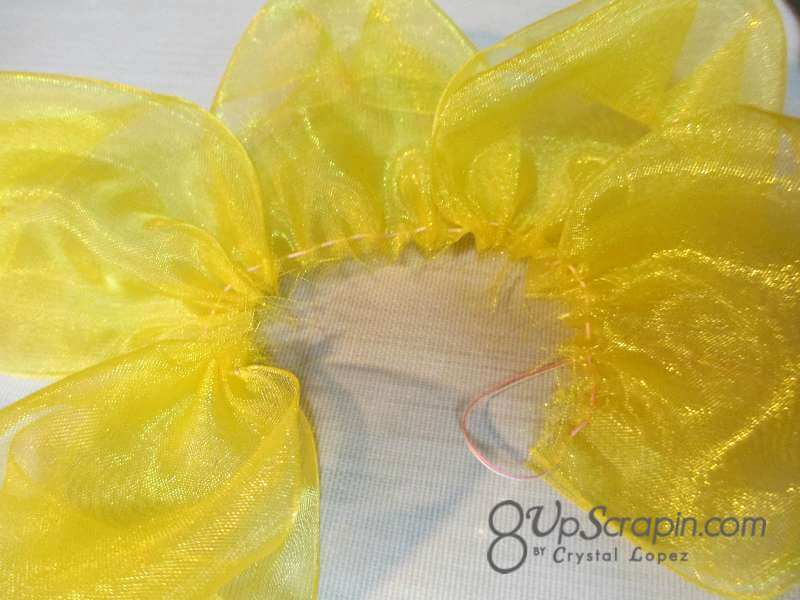 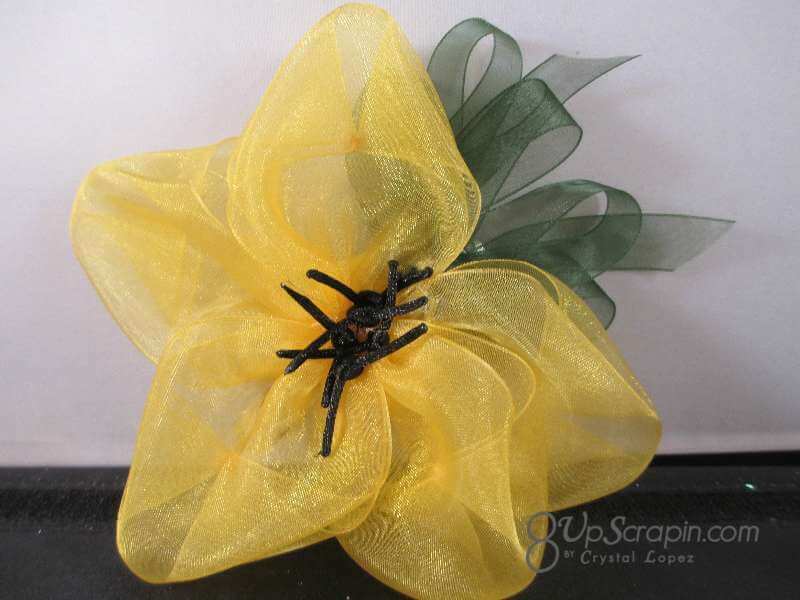 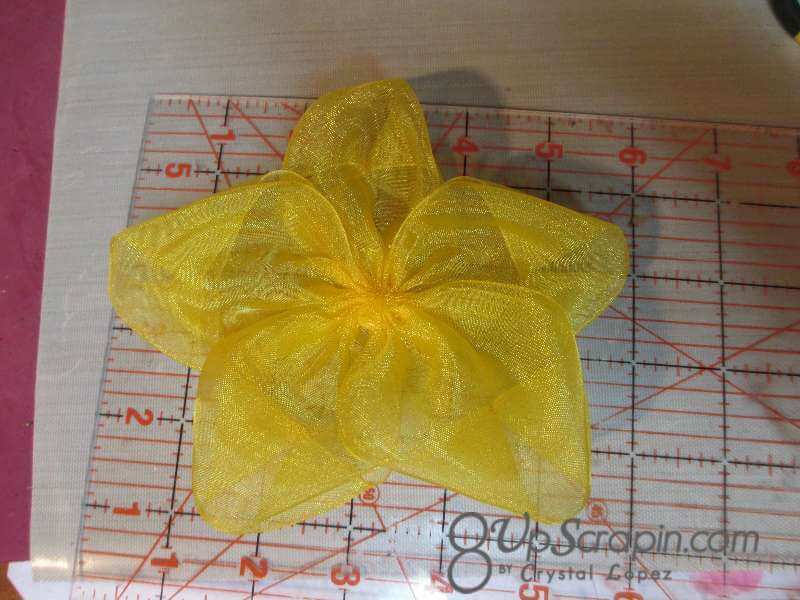 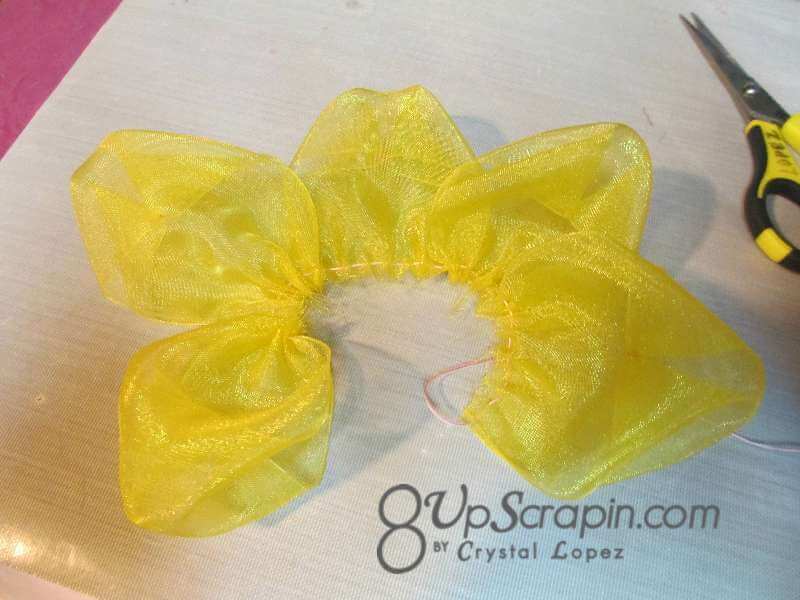 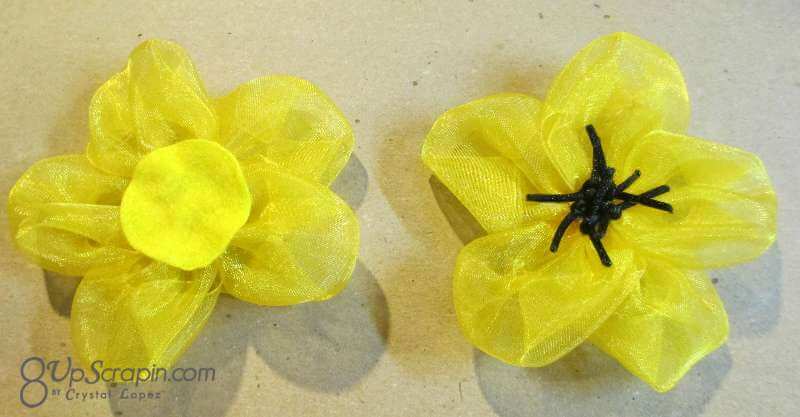 Ribbons Unlimited has beautiful quality ribbon and today I am using the 1 1/2″ Organdy in Yellow and 5/8″ Organdy in Moss and some Satin cord in black . 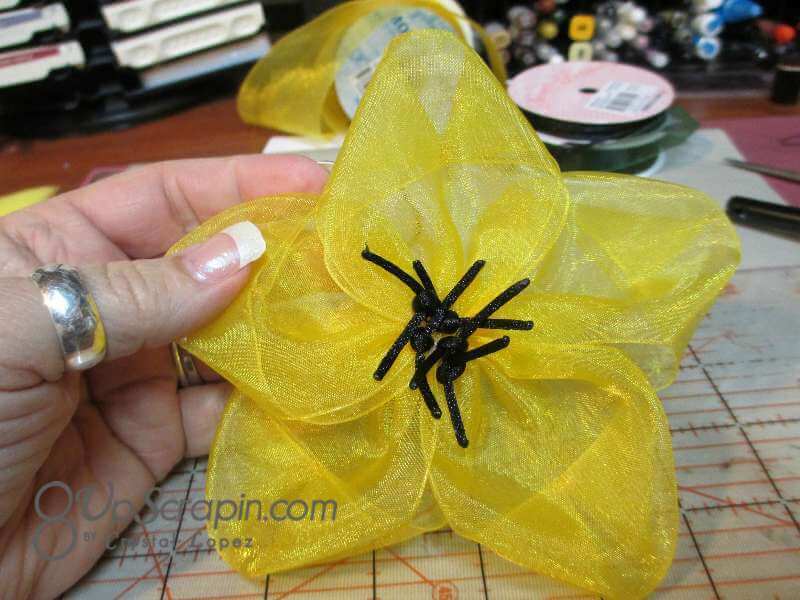 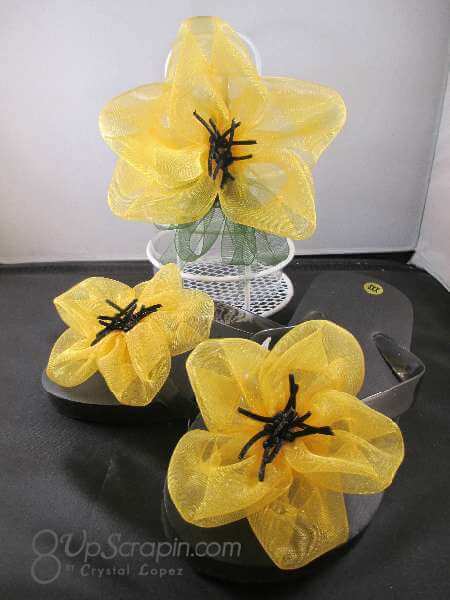 I am going to show you step by step how I created my flowers so let’s get started ..
next with the Satin cord in black knot up 5 pcs if cord for the center and use the lighter to singe the end so it don’t fray later , I hand sew these into the center of my flower .. 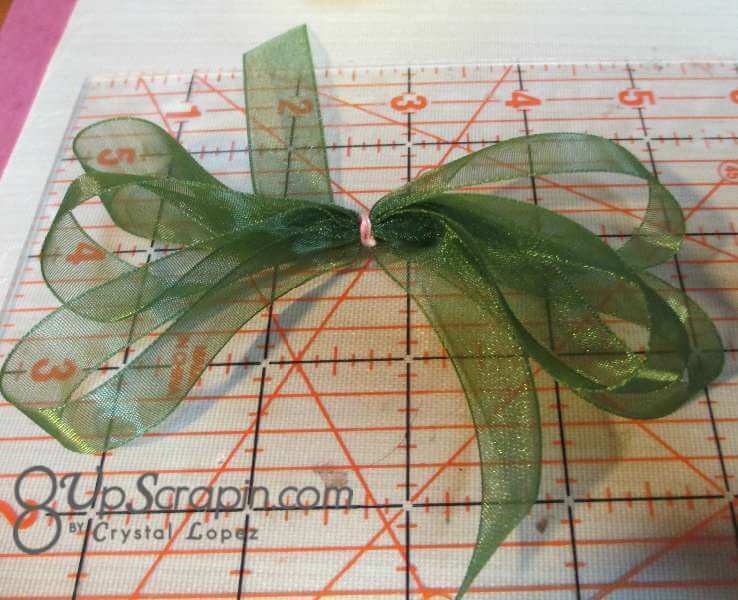 I hope you loved this fun project and that you will give it a try , Ribbons Unlimited and an amazing array of colors and ribbon to choose from to make these , you can use Grosgrain or even Satin to make these flowers too.. until next time stay crafty ..